Some strange thing is happening in the Olympic world right now. Despite ongoing criticism that the games itself have become too big and only continue to attract dubious bidders, who aren’t too big on the environment, free speech or working conditions, the 2024 Summer Games seem to be somehow different. Already cities like Boston, Hamburg, Berlin, Rome, Baku, Budapest, Istanbul and multiple cities from South Africa are preparing their bids. But what does it need to become a Candidate City for the 2024 Olympics? Istanbul has already been there five times – but does that make them the favourites? That’s very doubtful, because with new president Thomas Bach the IOC has embarked on a very challenging journey. If the intended reforms play out, the outline of the games could be changed dramatically. Rio 2016 and Tokio 2020 will be games of the old kind – big cities, which already have an international impact. But what if the games are becoming smaller? then all candidates have to establish a new storytelling and start selling this to the IOC. In the end, Istanbul’s and Paris’ experience could be worth next to nothing, and newcomers like Hamburg or Boston could well end up being hosts. The claim for transparency can also be heard outside the world of sports, but here it lives up to its true potential. Numerous host cities of the Olympic Games have outspend their budget and – as it turned out – lied to their voters about the bill for staging the prestigious games. If the pro Olympics movement in one of the soon-to-be-candidate-cities plays foul, the critics will easily be able to pick on that and push the public opinion in their favour. Even if the Organising Committee means no harm and wants to establish only temporarily parking lots for the Games, the public can be tricked into thinking something different, like during the rejected Munich bid for the 2022 Winter Games. It would be best, if the candidates put a glassy studio in the middle of their main public square and let the OGOC work from there. Inhabitants and visitors should be able to knock on their door, look over their shoulders and ask any question they like about the bid and the games (the founders of the Hamburg Miniature Wunderland put a modell of the Hamburg Olympic stadium in a shopping mall and engaged in numerous conversations about the bid). Social media monitoring should help the bid committee to learn more about the fears and questions of the public and address them regularly in Twitter Q&As, town hall meetings or similar events. If this is really the IOC’s new pet (and not only airports, TV revenue and five star hotels), this could change the nature of the upcoming games. 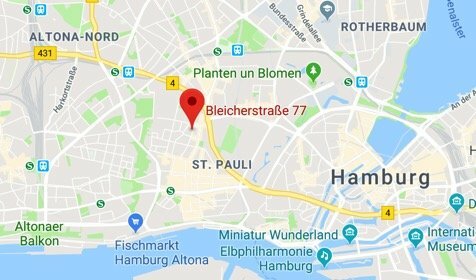 Hamburg and Boston already have prepared bids, where most of the events will be staged within a radius of five to ten kilometres. London 2012 made a huge contribution to the development of renewable venues – both the Olympic stadium and the aquatics centre are much smaller now and can easily be sustained by the local authorities. New candidates have to combine these two developments and make a bet on how the games will have changed by 2024: What if less athletes and media are attending? What if security threats prevail and boost the costs of staging the games? What if the world becomes fed up with big events after Rio 2016 and the Football World Cup 2018 in Russia? 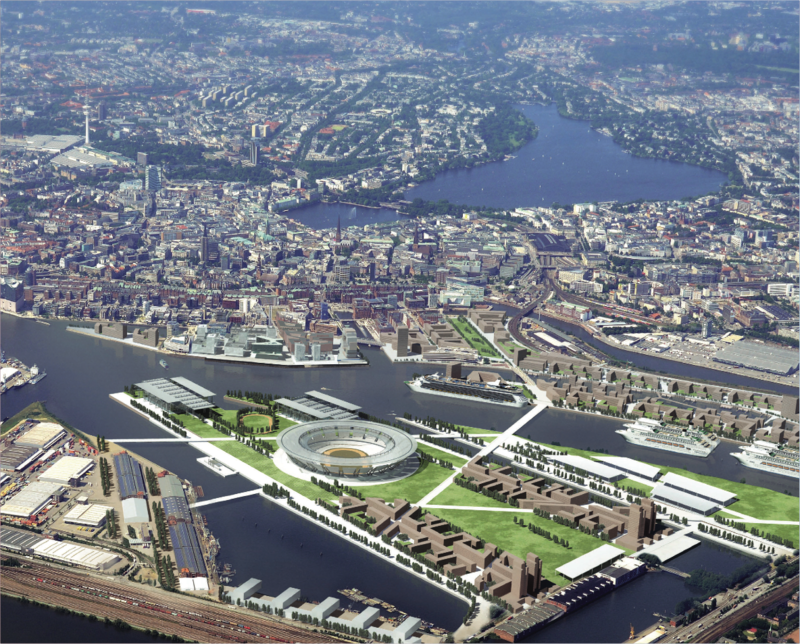 Imagine Hamburg, Boston and Cape Town competing in the final round for hosting the 2024 Olympic Games. What differentiates the three cities? How has their storytelling to look like? Is it enough to claim “We are the greenest city on earth and enjoy being close to the water”? Certainly not. Each candidate has to come up with an intriguing story and will feel like a juggler with too many balls in the air. Future host cities will have to follow London’s 2012 lead and not only present a set of highly renewable venues, but combine this with urban development. 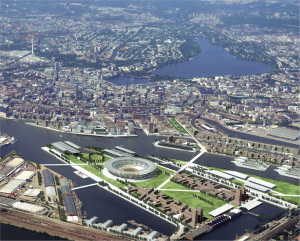 Hamburg has already started building its new Hafen City (ironically placed on the very ground where the Olympic stadium of Hamburg’s 2002 run for the 2012 games was planned) – and there is plenty of space left. The Elbe Crossing has been predominant in urban project, but never been fulfilled. The Olympics could well be the missing link and unite the city with its southern districts. German’s aren’t very patriotic and don’t love their national symbols – but the hanseatic people do. People from Hamburg unashamedly claim that their city is the most beautiful on earth – but do not get stuck in the muddy water of provincialism. Germany has been waiting for the Olympic Games for more than 40 years now – all bids since then famously failed like Berlin 2000, Leipzig 2012 or Munich 2018/2022. Olympic enthusiasm might be big elsewhere – but Paris is unsure if too follow the lead of the French government; Rome might be concerned with other problems than spending even more money the country doesn’t have; South Africa’s idea of staging the games in multiple cities sounds nice, but is not yet possible. What makes candidates for the 2024 successful? How could their storytelling look like? Will it be enough to promise green and renewable games?